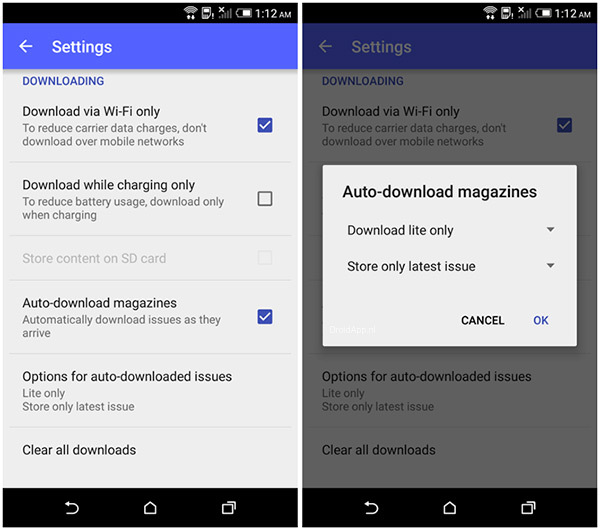 Google has started rolling out an update to the app Play Newsstand. The app is updated to 3.4.3. Some functions which were previously removed are now located back in the app. Play Newsstand 3.4.3 includes the ability to automatically retrieve new content. By activating this option, you do not have to download the articles manually. Also, you can choose to retrieve articles only if the phone is charging. Play Newsstand 3.4.3 is the ability to remove all previously touted magazines at once, which you downloaded. In the drop-down menu, there also a subscribed option which will remove the content from your screen for new content. The latest version of Google Play Newsstand will be rolled out in stages starting today through the Google Play Store. If you immediately want to use the new features, then you can download it from here Play Kiosk 3.4.3 APK .